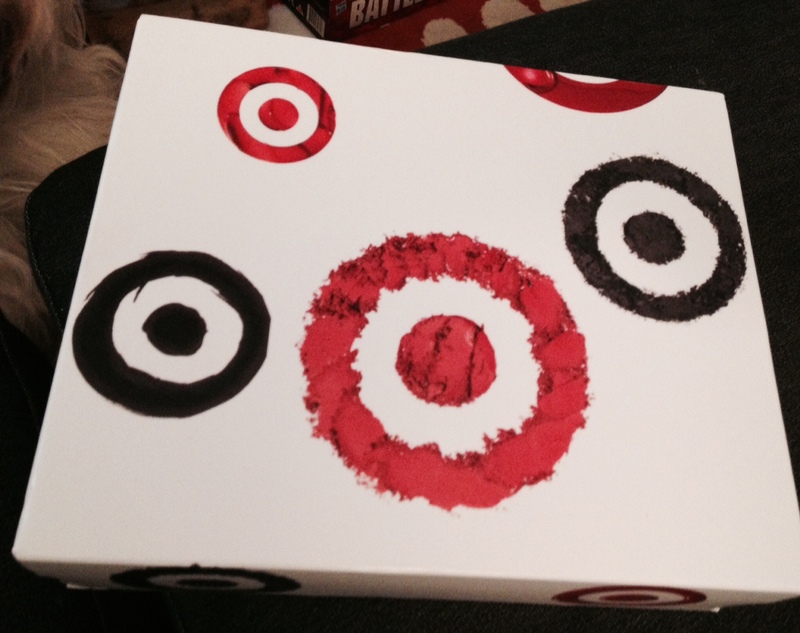 I had heard rumblings on Facebook that big box retailer Target was selling a Beauty Box for $5.00 online. Target is a Minnesota Company and I love all things local, therefore I shop at target ALOT! Besides who would pass up a $5.00 subscription box, definitely not this girl. 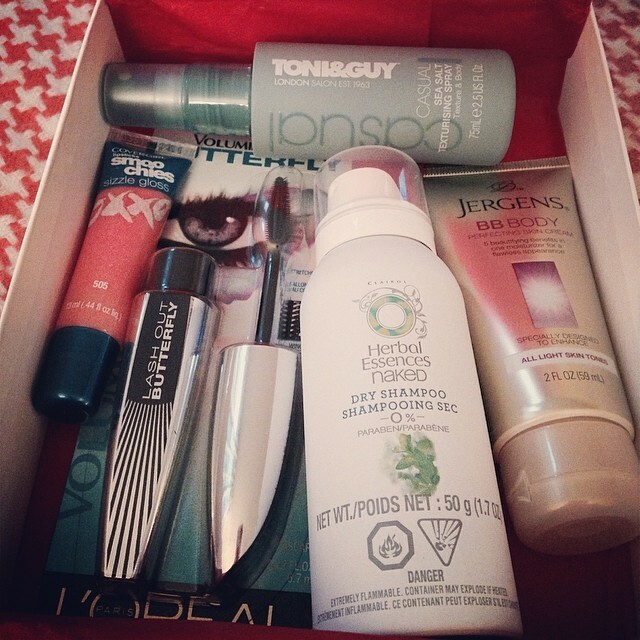 The cost of Target’s Beauty Box was $5.00 with a promise of free shipping. When I placed my order it charged me for shipping so my $5.00 box turned into an $11.82 box. Never fear my friends, I made a quick call to customer service and was instantly credited for the shipping. Yay! My box was back to $5.00, since Target is based here in MN I had to pay a little tax. But, who cares, the darn box was dirt cheap and I could not wait to try all of the products. If you have yet to nab a Target Beauty Box, you are sadly out of luck, as they sold out with in minutes. Everyone loved a great deal, especially when it includes awesome products! “What did you get in your Target Beauty Box?” Oh! I am so glad you asked, let’s find out! TONI&GUY Casual Sea Salt Texturising Spray: Spray from root to tip for salty, sultry texture and subtle, windswept waves. L’Oreal Voluminous Butterfly Mascara: Stretch and lengthen lashes for a fluttery, winged-out look with this unique mascara formula and revolutionary asymmetrical Butterfly Brush. ——————> I am in love with this mascara. I have long lashes to begin with and this gives me that classic glam look. Herbal Essences Naked Dry Shampoo: Give hair a rejuvenating boost with this paraben and colorant-free formula made with natural tapioca to instantly absorb excess oil with less residue. COVERGIRL Smoochies Sizzle Gloss: Sheer color meets sizzling shimmer in a moisturizing formula that’s always stunning, never sticky. ———————–> The gloss smells like cotton candy and has a light color. I feel that it is a bit to tacky for my taste. The texture not the color folks. Jergens BB Cream Light: a multi-tasking beauty cream in a quick-drying formula that goes on sheer and delivers visible results in just 5 days. ——————> This is now my every day lotion. We got a coupon for $3.00 off of a $15.00 beauty purchase at Target, I used my coupon to buy this lotion and a few other things. The smell is amazing and I can actually see a difference in my skin. My legs no longer appear splotchy and red, they are a nice even tone. Same goes for my arms and the rest of me. I hands down love this lotion. If you don’t own it, go get it now!